In our busy lives, we often settle for what’s convenient. Today, most of us do not have easy access to high quality, bona-fide avenues to source our products from. As a result, our priorities have shifted far from tradition, authenticity and purity toward accessibility and compromise. What if we were to make authentic and pure whole meats more accessible? So accessible we’ll deliver them right to your doorstep. At Zappfresh, we believe in tradition, values and the goodness of fresh meat. Experience the taste, texture and tenderness of farm fresh meat delivered straight from high quality farms. No more compromises, no inconvenience, just the unmistakable, sweet smell of juicy, all-natural meat. Bring back the touch of tradition and heritage to the food you eat; let the taste of mother’s recipes come to life in dishes you prepare. Authentic, certified, fresh, tender and easy-to-cook – just the way you want it. 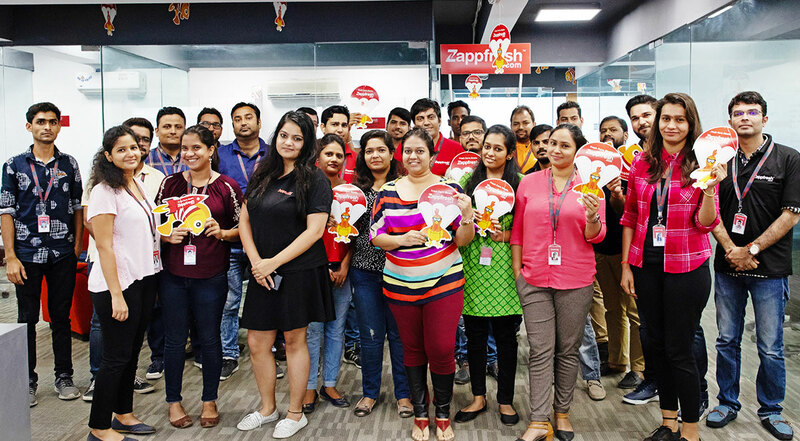 Zappfresh partners with high quality farms to bring you the fresh meat from only the best breeds, bypassing local mandis, wholesalers and butcher shops. Meats are delivered hygienically through a unique end-to-end cold chain supply that ensures consistent freshness from farm to table without freezing or exposing meats to any preservatives or water. No antibiotics, no growth hormones, no preservatives. The texture, color and tenderness of farm fresh meats are distinct and wholesome. The truth is the meat you procure from local vendors and supermarkets is highly processed and from animals raised under unhygienic, inhumane conditions of common feedlots and grossly overburdened slaughter houses. Animals in these common feedlots are constantly treated with antibiotics to hide illnesses, growth hormones to increase production and other preservative chemicals to increase shelf life. For too long have you blindly trusted local vendors with the health and wellness of your family? No more. With Zappfresh you can be sure that the meat on your table comes from a healthy animal raised in a hygienic and humane environment on high quality farms equipped with state-of-the-art facilities. 100% chemical-, antibiotic- and hormone-free meat that not only cooks healthier but also has a taste that will leave you licking your plate.